The Ravens have released 29-year-old wide receiver Jeremy Maclin. The team saves $5 million in cap space with the move. 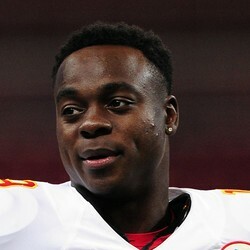 Maclin was deemed expendable by the team after Baltimore signed free agent wideouts John Brown and Ryan Grant. Maclin was again hampered by injuries in 2017, as he hasn't played in more than 12 games in a season since 2015. His value will ultimately be determined by his landing spot.